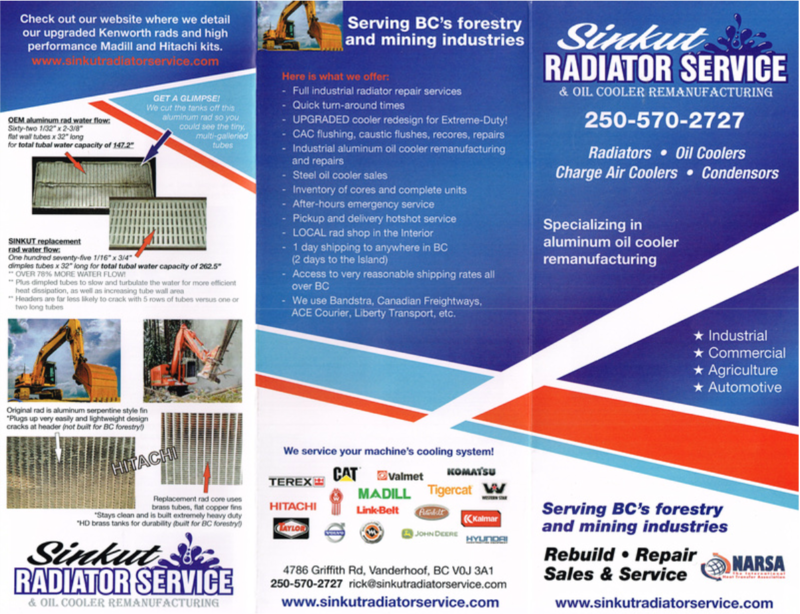 Sinkut Radiator Service is located at the foot of beautiful Sinkut Mountain and not far from the winding Sinkut River which drains Sinkut Lake into the Nechako River, a tributary of Fraser's mighty river system. From this location we serve Vanderhoof, Fraser Lake, Burns Lake, Houston, Smithers, Terrace, Kitimat, Prince Rupert, Fort St. James, Prince George, Quesnel, Williams Lake, Mackenzie and the surrounding mines and sawmills. 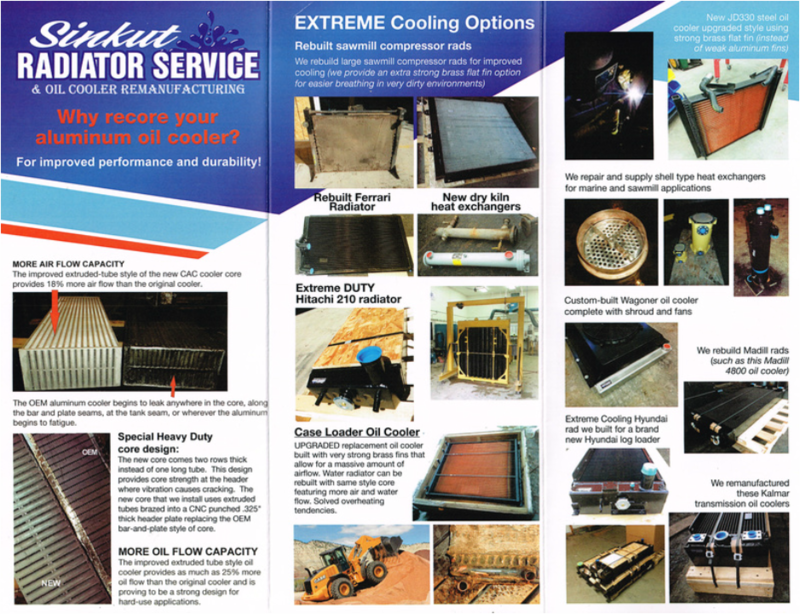 We supply BC's forestry and mining industries with radiator and oil cooler services. We appreciate our customers on Vancouver's Island, in the Okanagan, as well as the North Peace region and Alberta. We have an inventory of automotive and light truck replacement radiators as well as industrial forestry and mining cores for bunchers, loaders, skidders, processors, dozers, mulchers, and log trucks. We service car, light truck, antique, high-performance, farm tractor, stationary powerplant, forestry, mining, and cargo transportation radiators. With our mobile steam cleaning unit, we are equipped to clean and maintain HPU heat exchangers in the sawmill environment. We are pleased to be able to work in the lovely land of Northern British Columbia and serve a natural resource-rich territory with its many hardworking and industrious people! Thank you so much for your business. Thank you to our customers from Nanaimo to Fort St. John, Revelestoke to Terrace, 100 Mile House to Fort Fraser... and to all our wonderful customers in Vanderhoof, the Center of BC! life in such a manner that when you die, the world cries and you rejoice.